You need to consider adding a powder room to your Outer Banks home. 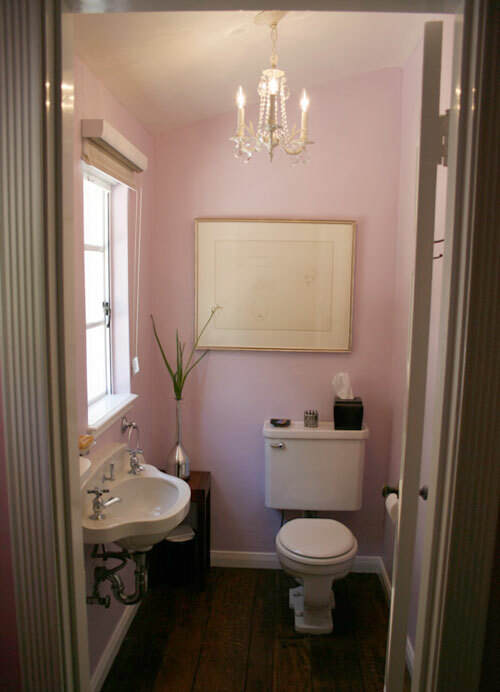 If you are unsure what a powder room is, just think of it as a fancy half-bath. A powder room is usually on the first floor and convenient to the entertaining areas of the home. Convenience – The placement of a powder room near your entertaining areas makes it convenient for guests and also keeps the private areas of your home free from lost guests. Less Space – Leaving a tub or shower out of the plans means that powder rooms require much less space than a full bathroom. This translates into less space taken from your home or, if in the form of an addition, less space taken from your yard. Décor – Because of its size and unique placement and usage, a powder room is a perfect place to experiment with fantastic décor. You can try something very different without interfering with the rest of your home. If you decide you don’t like the style, redecorating the smallest room of your home will cost less than redecorating any other room. Specific Usage – With guests being the primary users of your powder room, you know what to include: places for jackets, purses, and so on. Such features are often lacking in a family bathroom and can be inconvenient to add. A powder room is a must if you entertain in your home. A room specifically for guests is very convenient and shows consideration. With more space for your guests and less space taken from your home, how can you go wrong? Plus, a powder room is an essential part of any Corolla oceanfront home! Outer Banks Custom Kitchens is your place for kitchen and bathroom remodeling on the Outer Banks. With almost 50 years of experience serving the Outer Banks, we have the knowledge and experience to make your home improvement as wonderful as it can possibly be.